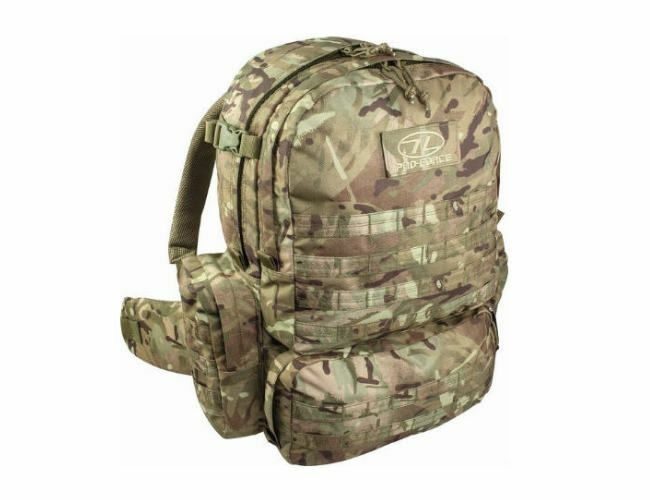 This top quality 50 Litre capacity load carrying Bergen is a modern design made for cadets who now use the 50 litre capacity. Made and designed from quality materials with the cadet in mind, its has many features and is a modern design. 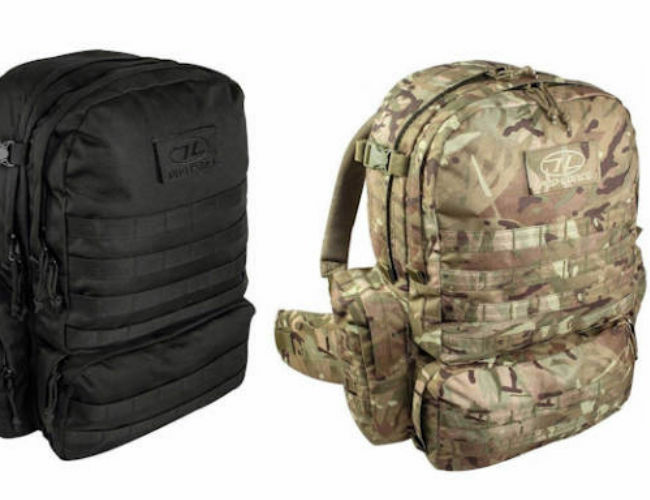 Made with Dura-Flex material and strengthened at stress points for extra durability.Comes with airflow back system which helps to keep the user cool and comfortable.. 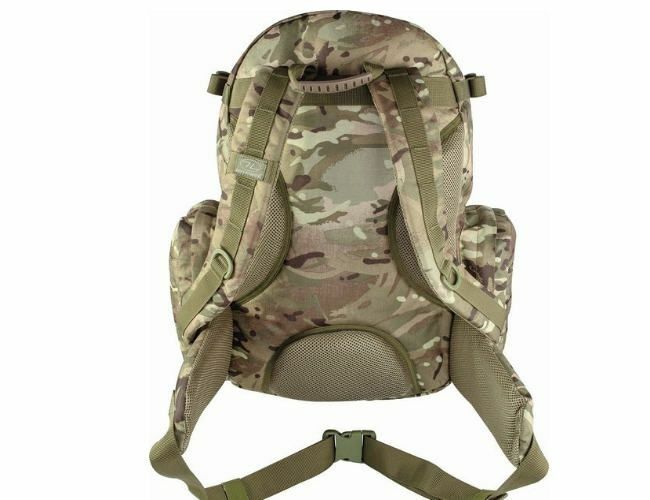 The M.50 cadet Pack is in the new Highlander.HMTC pattern with -coded molle attachment points.Extra attachment points are situated underneath the pack for sleeping bags and roll mats etc.rucksack 50 litres. camouflage and correct size for cadets.